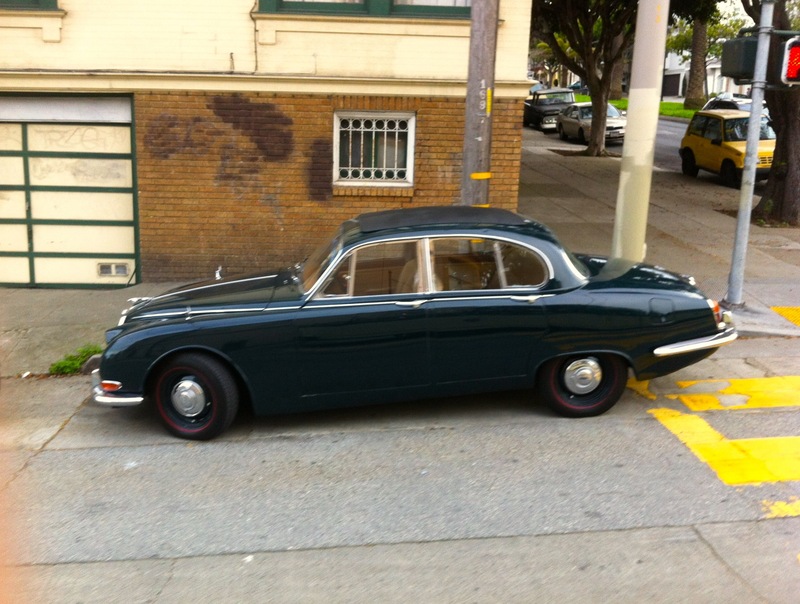 Whenever I see a cool car around the neighborhood, I take pictures and send them to my pal Eric up in Portland who runs Other People’s Things, my favorite car blog. He responds with some knowledge and we post the results here and it’s called “Car Beat.” I prefaced my message to him with this: ”Would’ve gotten better pics, but I was hurtling past aboard a vintage open-top streetcar from Blackpool.” Also I sent him a photo of me in the streetcar with a bottle of Jägermeister in my hand. First, that streetcar needs to be its own post. Looks awesome! Second, those are nice pics to be taken at speed with a bottle of Jägermeister in your hand (if it would have been Beefeater this would have been a full-on British post…). Looks to me to be a great example of the original Jaguar S-Type, and while it spawned the Ford PAG version in the early 2000s, this is the legit ’63-’68 variety. 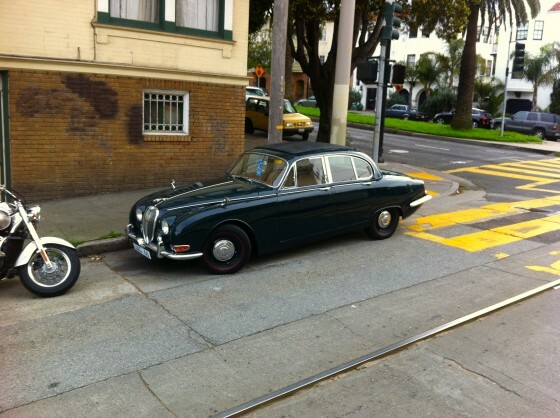 The S-Type is kind of a missing link between what was then old and new Jaguar. Really it’s one of their nicest proportioned sedans, not exactly long and low like the “new” X and XJ6, but not really upright and old fashioned like the old Type II. For me, these S-Types are the best of both worlds, just a bit of a classic look streamlined with modern updates. The low roofline, short overhangs, and subtle fender skirts are really what do it for me. The aftermarket ragtop is a nice touch as well. 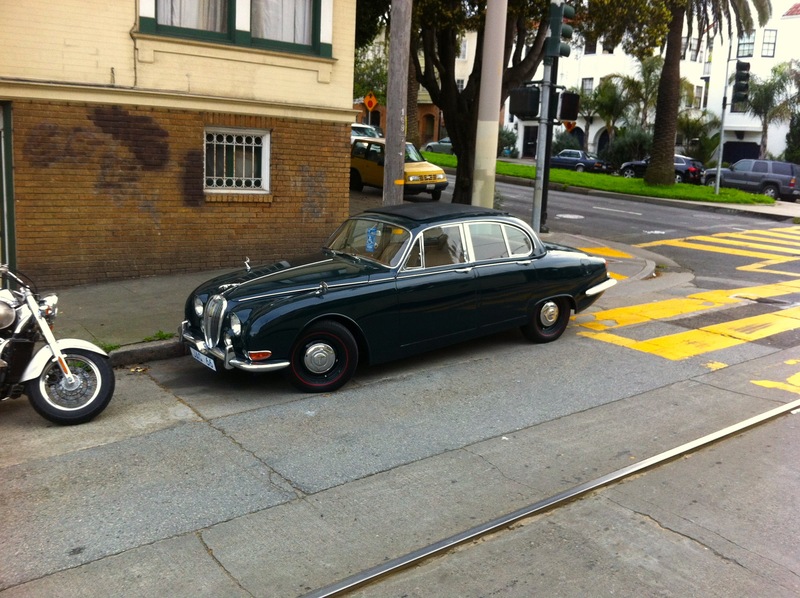 Great car, but now I just want to see the Jägermeister/ streetcar photo. And under the circumstances, I think the photographer did well in getting the three pics! Trying so hard. How does it feel? 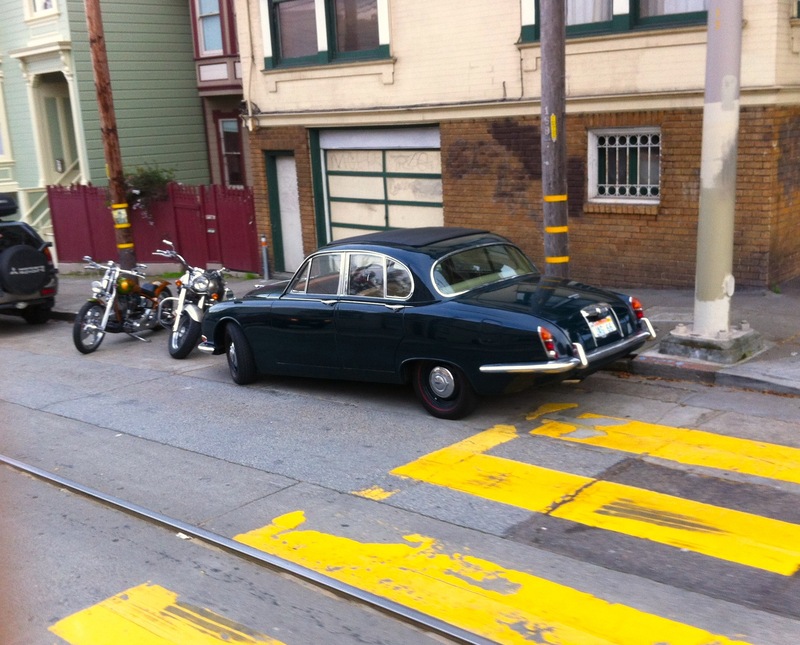 In crosswalk–tag it! Little kid entering into crosswalk behind it might not be seen by traffic coming from other direction. Not cool. Report such instances to Parking & Traffic at 553-1200. Loved ones of little kids thank you.